President Donald Trump has signed into law a bill naming a Virginia post office for fallen U.S. Army Capt. Humayun Khan, whose father criticized the then-candidate in a 2016 Democratic National Convention speech. CHARLOTTESVILLE, Va. (AP) — President Donald Trump has signed into law a bill naming a Virginia post office for fallen U.S. Army Capt. Humayun Khan, whose father criticized the then-candidate in a 2016 Democratic National Convention speech. Capt. 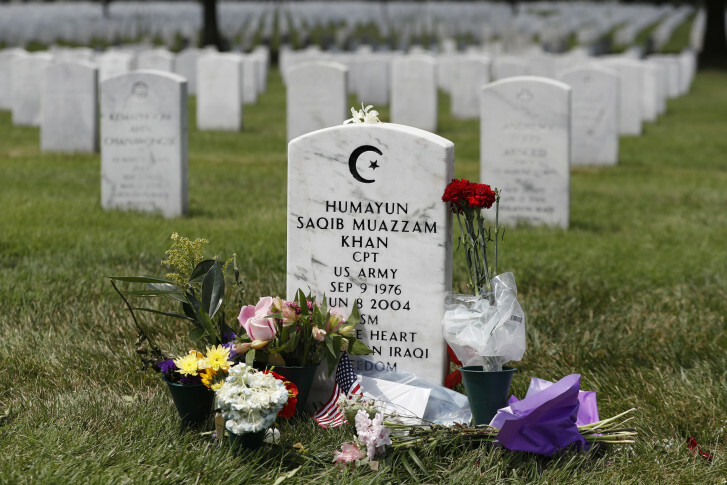 Humayun Khan was 27 when he died in Iraq in 2004. He was posthumously awarded a Purple Heart and Bronze Star. He was the only University of Virginia alumnus killed in Iraq, according to a university plaque.